Hannity To Daily Show "It was an inadvertent mistake"
"It was an inadvertent mistake, but a mistake none the less.” So claimed Fox News Pundit Sean Hannity after being ousted the previous night by Comedy Centrals Daily Shows Jon Stewart for using old footage of a Sept. 12th rally in place the Bachman rally last week which drew considerably less people. I just have one question for Mr. Hannity. How is a mistake inadvertent when the editors have to go back to the archival footage from September's protests just to include them in the Nov broadcast? Just days after a great national tragedy the Conservative Media has already begun a full scaled assault on the religion of Islam as well as using the disaster as a chance to attack President Obama in a roundabout way by saying political correctness within the Army is what led to the attacks. Hannity caught in yet another lie. According to Hannity the Bachman (see the whites of their eyes) rally was 20-40,000 strong and on a weekday! Something tells us that Hannity is about to be made to look like a fool. Watch the battle of two heavy weights. Pardon the expression. We would like to welcome a new video contributor to the site. Newsish. You can see more of his commentary at Newsish.com or at his Youtube Channel. Word was leaked today that the Obama Administration is gearing up to announce a plan to increase the troop levels in Afghanistan by 34,000 starting in March 2011. The plan is estimated to cost roughly $700 billion to $1 trillion over the next 10 years. The war already in its ninth year has become a hot button issue with public support heavily declining within the past year. 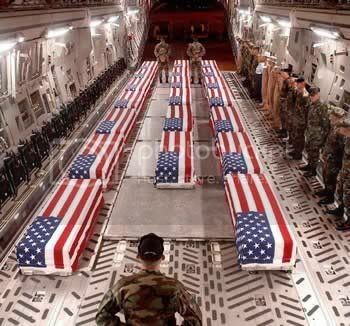 President Bush owns the Iraq war and now President Obama will own the Afghanistan war. Even against popular opinion President Obama is ready to take ownership of the grave yard of empires. I'm shocked but I guess I really shouldn't be. After all time and time again during the campaign Obama claimed the war in Afghanistan was the war of necessity. I have to honestly admit though that I never thought Obama really meant it. I thought it was just a cheap political ploy for moderate votes. It seems as if the President is finally ready to deliver on one of his campaign promises. The health care debate is still up in the air due mostly to political backlash against the plans price tag of $1 Trillion over 10 years. Sad as it is I almost find it ironic that the increase in troops is set to cost basically the same exact amount of money over a 10 year period as the health care bill. It makes me wonder if the Republicans will say the war will cost too much. I would put my money on the them supporting the war all the way, I also put my money on the Democrats putting up little to no resistance just like they did before the Iraq war. Sadly no cost seems to be too high for the war machine that has become the US Military presence around the world. On the bright side maybe this will make all of us Liberals, Conservatives, and Independents finally agree on something. Stopping this war. I think we should all agree this money is better spent at home. Lets just hope our leaders get the message.